IREM Finance & Asset Management Purchasing Forms will help you expand your skill set and provide resources for every step of your career development. No matter your level of experience and expertise. Use a purchase authorization form to detail specific information regarding the supply and purchase of equipment. This form allows managers to document apartment and vendor information, as well as record when purchases were delivered. Use a purchase order to invoice authorized purchases. Log the date of order, shipping instructions, and terms of purchase. Log all authorized purchases by order number. 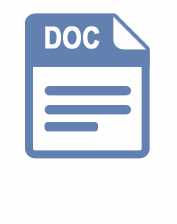 Document information such as issuance, vendor details, and order received date.